Welcome to Mazur's Total Automotive - Your local Whitmore Lake and Hamburg Auto Repair! What Makes a Great Mechanic? Mechanics many times are misunderstood. There are many who give them a bad name by being uncouth, greasy, and unprofessional. At Mazur's Total Automotive we decided to break through that wall of unprofessionalism, and become a top rated repair facility. One reason mechanics are looked down upon is they many times cannot find a fix. That is easily remedied at Mazur’s because we invest in state of the art equipment, and have mechanics that are ASE certified. As you can see these highly trained people who work on cars do not sound like “normal” mechanics; That is why we prefer to call them “technicians”. 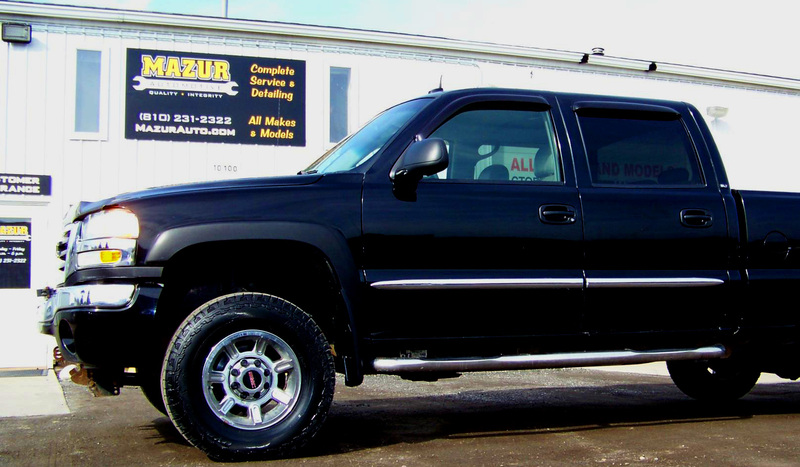 Mazur's Total Automotive is a full service Hamburg auto repair facility, which also proudly serves the Whitmore Lake area! At your Hamburg and Whitmore Lake auto repair, you will always be greeted by our friendly knowledgeable staff. You (the customer) are our best advertising, that is why we make it our goal to service you and your vehicle better and make vehicle repairs as painless as possible. We know that good technicians have lots of certifications, so wouldn’t it make sense that a repair shop should have certifications? Well we thought so too, that's why Mazur's Total Automotive is the only repair shop on M-36 to be both AAA and Bosch service approved.